Black Magic Supply is now delivering KEYZ to assist you in unlocking rapid recovery with each and every scoop. 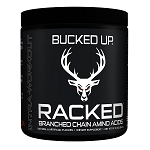 Twist off the lid to our one of a kind Essential Amino Acids formulation aiding in the highest quality recovery, muscle hydration, and nutrition replenishment to elevate you to the next level. Our EAA/BCAA formula is loaded with a supreme combination of Pink Himalayan Salt, Coconut Water Powder, and a litany of Amino Acids that will have you rebuilding your physique, improving your performance, and releasing unmatched endurance for every workout. KEYZ EAA/BCAA formula is in a league of its own providing a less luck more skill approach to deliver when it comes to facilitating muscle repair and initiating body hydration making soreness and inflammation disappear like magic. Enjoy KEYZ in delicious flavors like Mojito Raz, Pina Colada, and Berry Tropic available now! R1 TRAIN BCAA- 25 sv. R1 TRAIN BCAA- 50 sv.